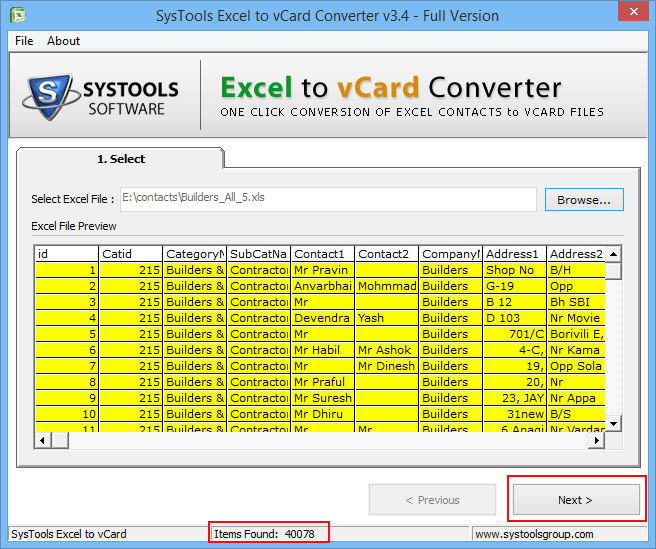 XLS to vCard converter tool loads and preview the data, which your Excel file contains- it includes all rows, columns and attributes of each cell of spreadsheet. By this way, users can view the useful resources as per their requirements by moving from one column or row to another column or row. 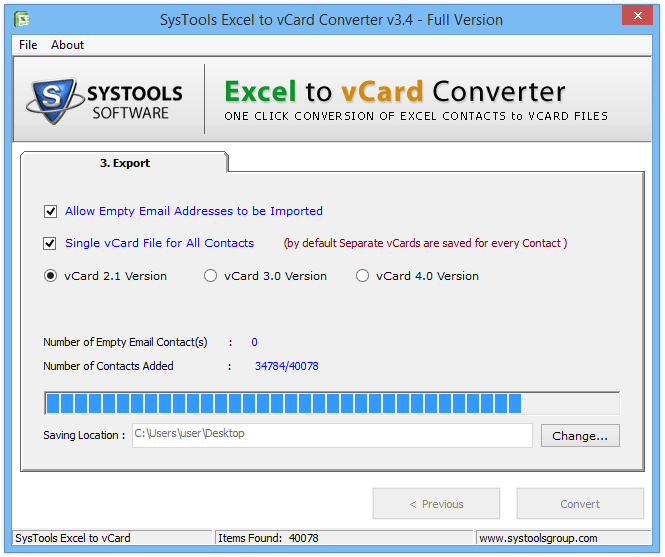 This Excel to VCF converter also allows users to migrate numerous contacts from XLS to vCard file format simultaneously with the help of batch processing feature. Apart from this, a one can also create a single vCard for single contact or a single vCard for multiple contacts. 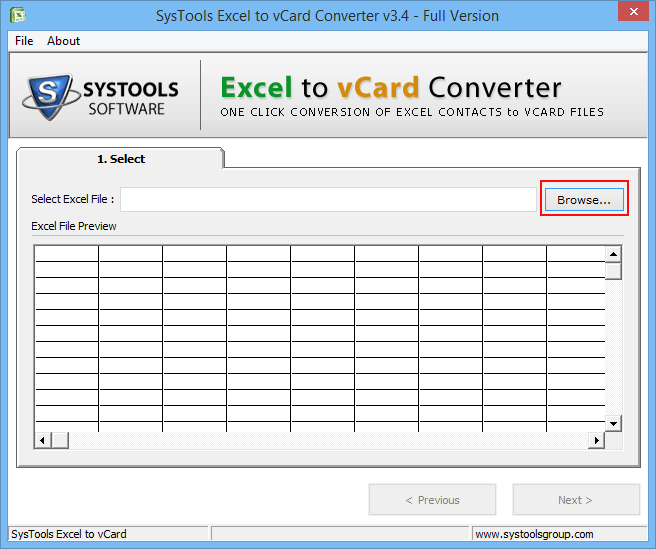 This Excel spreadsheet to vCard converter supports three different VCF formats in which a user can convert their Excel contacts. These versions are vCard 2.1, vCard 3.0 and vCard 4.0. Once you do the mapping of fields, Excel to VCF converter asks you to choose anyone from these. Excel contacts which do not have an email address can also be transitioned from an excel spreadsheet into a vCard file format. To grab this feature, users can select the "Allow Empty Email Addresses to be Imported" check box while defining settings for the conversion. 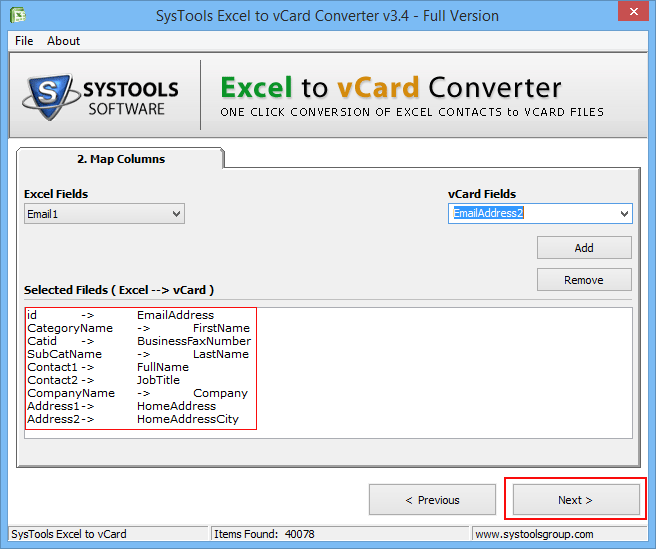 MS Excel as well as vCard uses "fields" to keep all the information with in it. By keeping this in mind, the software lets the users to map the fields present in the XLS contacts and vCard contacts. By utilizing this feature, users can match the fields available under the right hand side in the Excel field and vCard field. After exporting XLS to VCF, the converted VCF can be imported to other platforms and operating system that supports VCF file. The vCard file format is supported in Windows, Linux, Android, iOS, and MAC. Therefore, users can load excel contacts into MS Outlook, Apple email client, Eudora, all MIME type email client. Does this software compatible with Mac computer/device? What is the capacity of this software to convert Excel contacts to VCF file at once? 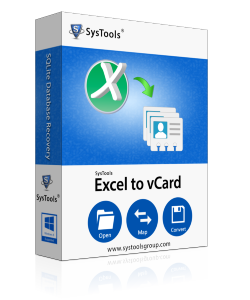 This software has capability to convert any size of Excel file contacts to vCard. It is already tested with 20GB size of XLS contacts which has been exported successfully to VCF file format. Does the software supports converting XLS contacts to vCard in bulk number? No, the software can export one XLS file contacts at a time to another vCard format. However, the tool can effectively convert XLS file to VCF simultaneously and this way multiple contacts file can be migrated. Does this tool have capability to generate a single VCF for all XLS contacts? Have 20,000 contacts in a spreadsheet can be troublesome if you want to access them on other devices. I was facing the same set-back and Excel to vCard converter helped me to figure out this. I had a few important contacts saved in an excel sheet and merely wanted to move some fields while converting those contacts into vCard format. This tool has done this job unreservedly.